Is this the end of BBC local radio? 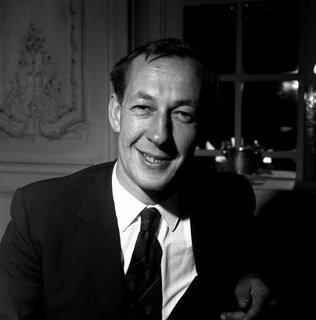 As we commemorate the 50th anniversary of Frank Gillard's dream, is its future in peril? Ofcom's draft new pan-BBC licence appears to permit a BBC local service which is largely networked - with sparse local news bulletins and a few local features; targeting anybody the BBC wishes, playing the music anyone fancies, with very little by way of genuine, passionate, championing local content. The service licence under the ancien régime, the BBC Trust, was considerably more insistent about the character of its local network, as cited below. 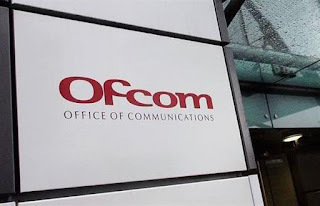 Now, that detailed and specific local radio Service Licence is to be replaced by provisions contained within an Ofcom licence of broader scope, covering all BBC services. The requirement that BBC local radio serves the 50+ generation is gone. Ofcom believes it appropriate to stipulate that Radio 1 should serve 'younger audiences', but not than any other service should explicitly serve grown ups - despite 50+ audiences being wholly unattractive to commercial broadcasters. Whilst the BBC must report to Ofcom on how it addresses diverse audiences, that analysis pertains to the BBC's output as a whole, not to particular services - let alone individual local radio services. Such scrutiny will come as little comfort to the 31% of BBC local listeners who consume no other BBC radio*. The requirement that BBC local radio plays a certain sort of music is gone. There is no longer any restriction on how much music may be current or otherwise. The requirement for specialist music has gone. The requirement for encouraging local new and emerging musicians is gone. The requirement for local passion is gone. Your BBC local radio station is no longer necessarily expected to ‘champion’ your area; nor hold decision-makers to account; nor play a part in 'a shared sense of civic responsibility'. The requirement for news is depleted: The BBC must now only ensure that a station "provides news and information of particular relevance to the area and communities it serves on local radio at intervals throughout the day"; and that it "provides other content of particular relevance to the area and communities it serves". Why should BBC local radio be allowed to do news only when it can be bothered, when its commercial neighbour must broadcast hourly bulletins? Ofcom appears not to have read the Trust's review into BBC local radio (March 2016): "...given the deep concerns regarding the potential impact of the BBC on local news markets, we are clear that there is a need for ongoing regulatory oversight of BBC’s scope in local news." Interactivity is no longer a pre-requisite. Religious programming and programming on minority sports or for minority audiences is no longer required. Stations can share a huge amount of programming with ease. Whilst the time allocated on each BBC Local Radio station to original, locally-made programming must not be less than 95 hours (was 85), “original, locally-made programming” includes programming shared with neighbouring stations. There is no limit on such sharing. One could, accordingly, merge station X with Y, provided both patches were covered adequately as part of a broader editorial agenda. Indeed, mega-regions or the whole network might be merged, provided inserts of local news and features were injected throughout the day. The 60% speech across 0600-1900 - and an all-speech breakfast is retained. There is little indication what this speech might comprise. Ofcom has been selective about which areas of all services should be regulated in its new regime. Unlike the BBC’s former governing body, it feels it should lay out 'high level objectives' and has thus removed "the extensive qualitative requirements" which "served more of a governance or strategic function than a regulatory function". They suggest that the requirements are a minimum level benchmark - and that performance will be appraised more generally across the range of BBC services. I imagine there will be insistence that my analysis above is over-dramatic. I’m not suggesting the BBC has in mind that it would take maximum advantage of this flexibility, but it seems to me to be possible. Under the proposals, BBC local radio could be depleted in the way I have suggested without breaking the conditions of its its licence. Months ago, that was not the case. 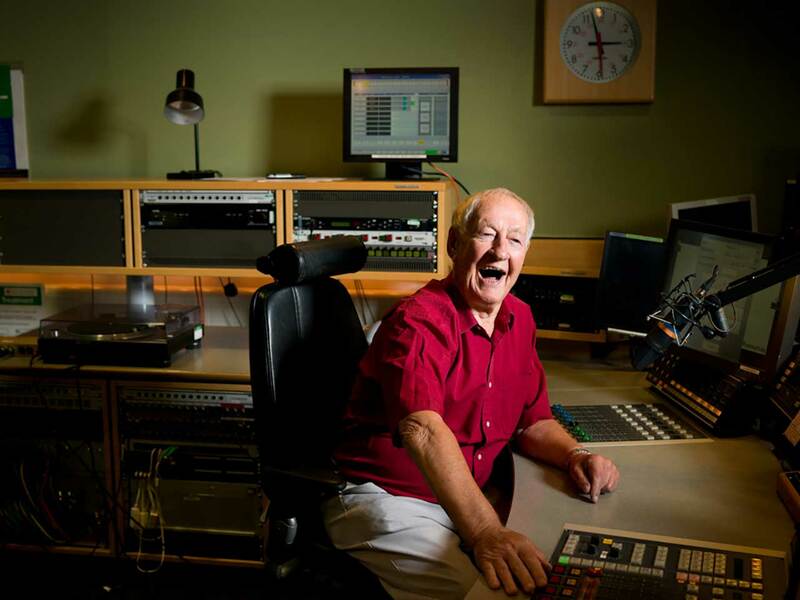 The only BBC station currently targeting the huge over 50s generation is BBC local radio. In the future, the service can target whomsoever it wishes. As I have outlined previously, I have serious reservations about how that even the extant remit has been tackled in recent years. A poor focus has resulted in a listening share decline amongst those aged 50-70 of 28% in the last five years, vs a drop of 17% amongst adults**. The absence of any focus will result in further deterioration. If no radio service is dedicated to 50+, the BBC will, on no service, look through life through the spectacles of those who’ve lived a bit. I cannot countenance that this is what Ofcom wishes. 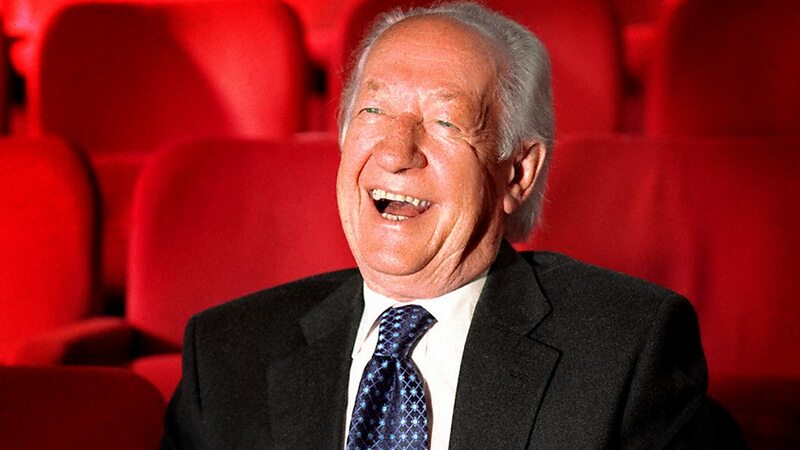 Whilst the regulator's weasel words suggest it will ensure diverse communities are represented, it troubles to make no specific provision for those over 50, or over 65, who feel that much other radio is not aimed at their tastes. BBC radio overall does appear, statistically, to serve older audiences well currently in terms of audience volume, principally because that generation loves its radio habit. Indeed, it is because it adores its radio that its stations must be protected. Regional radio cannot serve the purpose of local radio. Regional identities, in many cases, frequently live only in the minds of bureaucrats and media organisations. You can have as little in common with the City next door as the one right across the Country - and there may be destructive rivalries. In some 'regions', if you are not local, you may as well be national. It is already the case that the larger stations tend to have a smaller % reach; and there is clear correlation between TSA size and % reach***. Furthermore, in any regional plan, it is the smaller communities which miss out most, as content naturally emerges from the populous areas. As more regionalisation or networking is permitted, off-peak and weekend programming will likely suffer first - such times when programming has been able to be beautifully specific and distinctive in its appeal and its audience share maximised. The evening programming, networked since 2013 and replacing dedicated local programming, has diminished audiences. If this is the trial, can we declare the matter proven? BBC local radio seems to matter little to London's Ofcom. In its 'distinctiveness' research summary (March 2017), BBC local radio is mentioned but once, despite the existing service being hugely distinctive from its commercial competitors. BBC national radio was commended but the report conceded,” a few participants suggested that BBC Radio could be more distinctive by showcasing even more non-mainstream music, or by more coverage to local issues and music”. So, despite the fact that this was cited as the only adverse radio comment in the research summary, Ofcom chose to diminish the importance attached to these areas in its proposed licensing regime. Regionalisation is the route commercial radio has adopted. Surely, however, this is part of why publicly funded radio exists: to provide services which are not sustainable on a commercial basis. The justification for BBC local radio is greater now it may well be the only locally-driven service in the market. What's more, as commercial radio has its news provision regulation hardened by the regulator, that of BBC local radio is lessened. At a time when local press is under threat, money is injected into puzzling BBC ‘local democracy’ schemes even though Ofcom allows the atrophy of platforms on which such reporting might be carried. If it thinks that funnelling reports into windows in networked programmes achieves what BBC local stations have hitherto, it is mistaken. BBC local radio attracts an audience for the company it provides. In the absence of that company, any news bulletins will be served to a diminishing audience. I would suggest that a ‘serves all’ local service’ will not generate a meaningful audience; and the lack of focus on a target audience hitherto has been responsible in part for the network’s decline. BBC local radio has its challenges. As an expensive multi-site operation, it will logically cause some head-scratching as budgets are reduced. It simply cannot afford to carry on as it is. But, as many have pointed out, a proud, solid and popular locally-tailored news, chat and music service can be delivered at a considerably lower budget than is currently being spent. There are alternatives to demolition. Gifted leadership, capable management, and a small committed and agile staff, together with judicious use of technology and reduced central overheads and intrusion, can deliver an even richer local service than now, at half the price - without leaning lazily on unwarranted regionalisation. It's time for change - but not this change. Give me the money and I'll show you. May I suggest other options are tried first, before this atavistic destruction. Let us examine more closely the inputs before we reduce the outputs required. Local radio was Frank Gillard’s dream - and, as he would confirm were he still with us, BBC Head Office never really understood it. 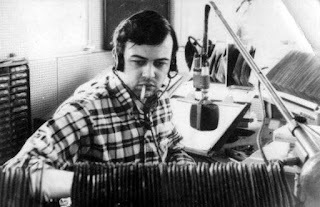 Not least because in London, for a host of reasons, local radio has never been a powerful force. Hopefully I’m wrong. Maybe I am missing something. Maybe this document was printed just as the Ofcom printer ran out of ink - and it’s missing a few pages. If I am correct, however, then Ofcom is failing in its duty to protect the purposes of the BBC as delivered by its Charter. 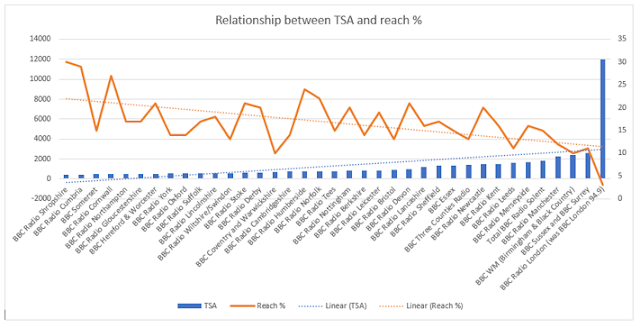 Judging by the paucity of licensing conditions, it has failed to recognise the value listeners attach to BBC local radio - an audience approaching the size of Radio 1's in England. Let’s not celebrate BBC Local Radio's 50th anniversary by closing it down. You have until 17th July to bang on Ofcom's door with your thoughts. The target audience should be listeners aged 50 and over, who are not well-served elsewhere, although the service may appeal to all those interested in local issues. There should be a strong emphasis on interactivity and audience involvement. The output should be relevant and act as a trusted guide to local and other issues for its audiences. 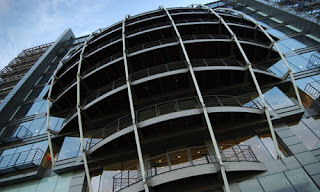 BBC Local Radio stations should champion the local area and call to account decision makers. It should encourage a shared sense of civic responsibility among its listeners by providing constantly updated, accurate, impartial and independent news and information on local, national and international matters. It should host wide-ranging discussions on matters of local concern and hold elected and unelected decision makers to account, and frequently offer listeners opportunities to contribute to the output and take an active part in their local communities. Sustaining citizenship and civil society BBC Local Radio should make a very important contribution to this purpose amongst its audience. Music output should be mainstream in peaktime and include specialist in off-peak hours. Specialist music should be appropriate to the area. Current and recent chart hits should represent no more than 15% of weekly music output. All stations should mount regular outside broadcasts at events across the local area and report on local sports teams, including minority sports when appropriate to the local area. All stations should aim to serve local minority audiences. During the networked programme, each station should retain the ability to cover local emergency situations where necessary. The BBC Trust is dead. 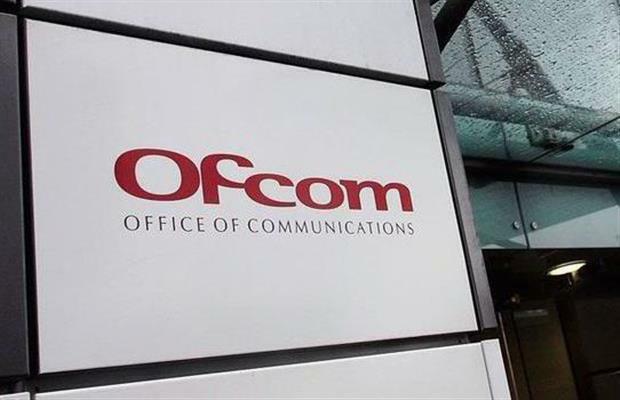 April 3rd 2017 sees Ofcom become the BBC's first external regulator. Accordingly, Ofcom’s developing an 'Operating Framework' for the BBC, covering regulation of the BBC’s performance, compliance with content standards and impact on competition. The BBC is required to ensure its portfolio of radio stations offer “the broadest variety of output and that the range of musical output on its popular radio services is broader than that of comparable providers”. Below is a summary of key points relating to radio of the draft new operating licence, and, in italics, a summary of the relevant parts of the old service licence. Neither is exhaustive. As Ofcom says: “Regulatory conditions previously set by the Trust that deliver this were maintained and increased where appropriate. Other Trust targets were not retained. Where appropriate, new conditions have been set to ensure delivery of these aims”. This speedy summary is not exhaustive and offers no comment within. I do observe, however, that the proposals appear less specific about target audiences, although there are over-arching responsibilities to serve all. Radio 1 goes from the former ‘15-29 year olds…and younger teens’ requirement to simply ‘young audiences’ and there appears to be nothing to suggest that BBC local radio retains its 50+ focus. BBC local stations may also share output with ‘neighbouring stations’, without limit. The closing date for responses to the consultation is 17 July. The time allocated to news during Daytime each weekday is not less than one hour and includes at least two extended bulletins, of which at least one must be in Peak Listening Time; and it provides regular bulletins during Daytime at weekends. The BBC must ensure that in each Year the number of first-run documentaries is not less than 40. For the purpose of this requirement “first-run documentaries” includes documentaries which have been first broadcast on 1Xtra. In each Year it broadcasts at least 175 new sessions (excluding repeats) that have been recorded within the previous month; and the station plays a broader range of music than comparable providers, taking into account both the number of plays and the size of the playlist, at both Peak Listening Time and Daytime. Target audience is 15-29 year olds and it should also provide some programming for younger teenagers. The time allocated to news during Daytime each weekday is not less than one hour and includes at least two extended bulletins; and it provides regular bulletins during Daytime at weekends. The BBC must ensure that in each Year the number of documentaries is not less than 40. For the purpose of this requirement, “documentaries” includes repeats. The BBC must ensure that the time allocated to news and current affairs programming each week is not less than 17 hours, of which not less than 3 hours must be in Peak Listening Time; and it provides regular news bulletins. The BBC must ensure that in each year: the time allocated to arts programming is not less than 100 hours. For the purpose of this requirement, “arts programming” includes repeats; the time allocated to documentaries is not less than 130 hours. For the purpose of this requirement, “documentaries” does not include repeats; and the time allocated to religious output is not less than 170 hours, and that the output covers a broad range of faiths. For the purpose of this requirement, “religious output” includes repeats. The station plays a broader range of music than comparable providers, taking into account both the number of plays and the size of the playlist, at both Peak Listening Time and Daytime. The BBC must ensure that it provides news at intervals throughout the day. The BBC must ensure that in each Year: at least 45% of the station’s music output consists of live or specially recorded music; it broadcasts at least 440 live or specially recorded performances; it commissions at least 25 new musical works (excluding repeats); and it broadcasts at least 35 new documentaries on arts and cultural topics (excluding repeats). BBC must ensure that the time allocated to news and current affair programmes (including repeats) in each Year is not less than 2,750 hours; and it provides daily reports of Parliamentary proceedings when Parliament is sitting. The BBC must ensure that in each Year: the time allocated to original documentaries (excluding repeats) covering a range of different subjects is not less than 375 hours; and the time allocated to original religious programming (excluding repeats) is not less than 200 hours. In respect of BBC 6 Music, the BBC must ensure that the time allocated to speech-based features, documentaries and essays each week is not less than 10 hours on average across each Year. The BBC must ensure that in each Year the proportion of its output that is news and current affairs programming is not less than 75%; and there is extensive coverage of local and general elections, and of elections to the United Kingdom’s devolved chambers, as well as regular coverage of European and international politics. The BBC must ensure that in each Year live commentary, news and other programming is offered on at least 20 sports. The BBC must ensure that the time allocated to news in each week is not less than 6 hours. “Core Hours” means 06:00 to 19:00 on Mondays to Fridays, and “Breakfast Peak” means 07:00 to 08:30 on Mondays to Fridays. BBC must ensure that service provides news and information of particular relevance to the area and communities it serves at intervals throughout the day; and it provides other content of particular relevance to the area and communities it serves. The BBC must ensure that in each week the time allocated on each BBC Local Radio station to original, locally-made programming is not less than 95 hours (Guernsey 80, Jersey 80, Somerset, 70). For the purpose of this requirement, “original, locally-made programming” includes programming shared with neighbouring stations broadcast between 06:00 and 19:00. The target audience should be listeners aged 50 and over, who are not well-served elsewhere, although the service may appeal to all those interested in local issues. There should be a strong emphasis on interactivity and audience involvement. Broadcast at least 85 hours of original, locally-made programming each weekMusic output should be mainstream in peaktime and include specialist in off-peak hours. BBC Local Radio should contribute to this purpose amongst its audience. It should provide opportunities for new and emerging musicians from the local area and support local arts and music events by providing event information. BBC Radio Scotland, the BBC must ensure that in each week the time allocated to news and current affairs (including repeats) is not less than 50 hours; it provides several regional opt-outs each weekday, offering news, sport and information, and some regional opt-out community programming in the evenings; and it provides content and music of particular relevance to Scotland. 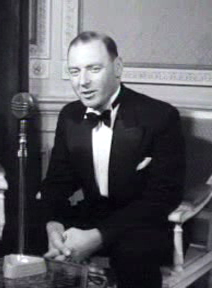 BBC Radio nan Gàidheal, the BBC must ensure that it includes news frequently across the day, particularly between 07:00 to 08:30 and 16:00 to 19:00 on Mondays to Fridays and 07:00 to 11:00 on Saturdays and Sundays; and it provides content and music of particular relevance to Scotland. BBC Radio Wales, the BBC must ensure that in each week the time allocated to news and current affairs (including repeats and acquisitions) is not less than 32 hours; and it provides content and music of particular relevance to Wales. BBC Asian Network, the BBC must ensure that the time allocated to news and current affairs programming each week is not less than 24 hours. The BBC must ensure that in each Year at least one third of relevant Expenditure is incurred outside the M25 area. “Relevant Expenditure” includes Expenditure on first-run originated programming, but does not include Expenditure on news or sport output. For the purpose of this requirement, “first-run originated programming” means programming which is commissioned by or for a UK Public Radio Service and has not previously been broadcast on a radio service in the United Kingdom. In meeting the requirement, the BBC must ensure that some of the relevant Expenditure is incurred in respect of Radio 1; Radio 2; Radio 3; Radio 4; and BBC Radio 5 live. In respect of Radio 3, the BBC must ensure that in each Year at least 40% of relevant Expenditure is incurred outside the M25 area. For the purpose of this requirement “relevant Expenditure” includes Expenditure on first-run originated programming and Radio 3’s allocation of the central orchestras’ subsidy but does not include Expenditure on news or sport output.